The rate at which our ozone layer depletion has been tripled in 30yrs. 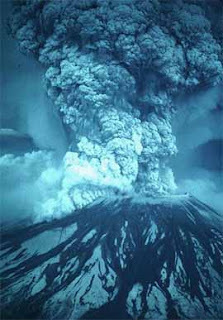 The effects of chlorofluorocarbons (CFCs) on the ozone layer were first raised in 1974 by Drs. Sherwood Rowland and Mario Molina. They stated that CFCs were able to persist in the atmosphere long enough to move upward into the stratosphere. There the intense solar radiation would break them up and release reactive chlorine atoms which would then destroy ozonelayer. Their theory initially met with skepticism but mounting evidence and the invention of the Antartic ozone hole in 1985 galvanized the interest of scientists and several countries. Further researches has indicated that CFCs, along with certain other chemicals from our industrialized society, are the vital reason for the depletion of ozone layer in the stratosphere. The problem with introducing chlorine atoms into the stratosphere is that a sequence of chemical reactions occur that result in the destruction of ozone and the regeneration of the original chlorine atoms. In other words, the chlorine atoms are not initially used up by the reaction. Rather, they are regenerated by the reaction and therefore are capable of reacting with ozone over and over again. Each chlorine atom can destroy over 100,000 ozone molecules before it returns to the troposphere as hydrochloric acid and is removed during rain storms. Relatively recently, human activities have introduced large quantities of chlorine atoms into the atmosphere. At present each year, about 400,000 tons of reactive chlorine atoms are released by the breakdown of chlorofluorocarbon (CFC) molecules and other compounds (80% man-made) in the stratosphere. The net effect is to destroy ozone faster than it is naturally created. Because ozone plays an vital role in reducing the amount of ultraviolet radiation that reaches the earth's surface, depletion of ozone brings about an increase in ultraviolet radiation. Since UV radiation is readily absorbed by living tissue, and since light at this wavelength has sufficient energy to break chemical bonds, it can be injurious to both plants, animals and humans. It will cause skin cancer and other harmful diseases to human society. 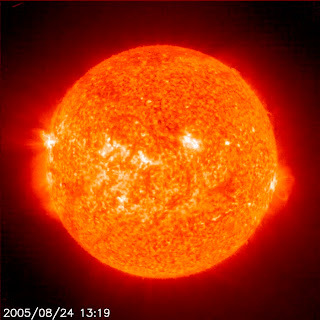 Solar energy from the sun reaches the earth as infrared, visible, and ultraviolet light. Ultraviolet rays are biologically harmful above certain doses, as demonstrated by sunburns. When discussing increases in harmful ultraviolet light due to ozone depletion, it is helpful to distinguish between three different types of ultraviolet light. These are: (1) ultraviolet A (UV-A) with wavelengths between 400 and 320 nanometers (nm)); (2) ultraviolet B (UV-B) with wavelengths from 320 to 290 nm; and (3) ultraviolet C (UV-C) with wavelengths between 290 and 190 nm. UV-C is completely absorbed in the upper atmosphere by oxygen and ozone. Only UV-A and UV-B reach the surface of the earth. UV-A is not affected by changes in the levels of stratospheric ozone. UV-B is more biologically harmful and is very sensitive to changes in stratospheric ozone. The level of UV-B striking the earth varies by time of day, season, cloudiness, and latitude. Stratospheric ozone also varies by season and is especially dependent upon latitude. With the exception of the recent phenomena of ozone holes over the poles, ozone is normally thinnest at the equator and thickest at higher latitudes. * Living things are much more sensitive to the shorter wavelengths of UV-B. Because of these two factors, it would be misleading to estimate biological impacts simply on the basis of the overall change in the radiant energy of the UV-B radiation. Rather, it is necessary to predict the change in the quantity of radiation at each wavelength and to weight the wavelengths according to their physiological impact. An example of the result of such weighting is graphically shown in Figure 2. Without the weighting, it would appear in our example that the impact of a 50% ozone depletion is small. For each different type of biological effect we wish to predict, a different weighting function must be determined.